In the near future, the company is set to launch a set of new vehicles that includes the EQ-A and the EQ-S.
Mercedes Future plans charging head-on into the upcoming EV market is a secret no more. Major automakers in the industry around the world are trying to be a trailblazer in the demanding segment. Tesla foresaw it a long time ago and now gasoline bearing luxury and performance oriented companies are trying to find a place under the sun. 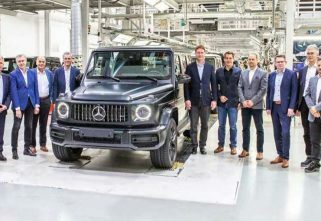 Mercedes Benz who has spent a total of 9 billion Euros towards launching at least 10 new vehicles bearing an electric powertrain by 2022, unveiled its first electric SUV earlier this month. 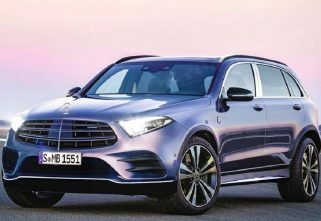 Christened as the EQ-C, the company based the new EV SUV on the modified platforms that currently underpins the GLC was known as the MEA1. 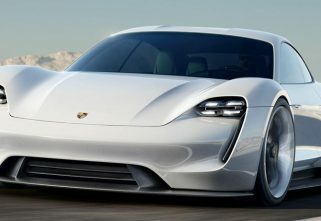 In the near future, the company is set to launch a set of new vehicles that includes the EQ-A and the EQ-S. The EQ-A which is expected to be a hatchback will be based on the modified version of the platform that underpins the A-Class models known as the MEA1.5. This, however, differs from the EQ-S in which the company has used a new platform called as the MEA2. The platform extensively uses aluminium in its build and is designed with a fully flat floor. Reports suggest that the new EQ-S will measure close to the CLS and will feature a shorter bonnet and ultra-short overhangs. Though, expected to sport similar features like the S-Class, it may not be a variant of the S-Class, finding a spot between the E-Class and the S-Class. Being based on a platform that is dedicated towards an EV, the upcoming EQ-S would be capable of tapping into some of the features that the EQ-C and the EQ-A would not possess. This includes a compact electric motor at the front and rear axles plus a fully flat floor that will boost interior space and storage. Mercedes has given an outline of its plans in the EV segment, however, when it comes to revealing the specs of its upcoming vehicles, the company is playing its cards close to the chest.